With the endless rumors of the team relocating, is this an indication that the team is headed elsewhere? Houston? Who knows? Andrew Barroway is trying to sell his majority ownership of the Arizona Coyotes. Is he tired of losing money? He is a smart businessman working in hedge funds, so he knows his financial math, and it seems like he is moving on to more profitable ventures. Who can blame him? The team is riddled with debt and has been failing to put fans in seats to allow the team to make a profit, or at the very least break even. The man loves hockey and was more than excited to purchase the team and became the sole owner in July 2017. He pledged a lot, including making the team a winner. The team is playing much better this season (7-7-1) but still has not made the playoffs since the 2011/12 season. But, the asking price ($500M) may be pretty steep for a new owner to come in and assume the debt which may be close to $300M without feeling the financial pinch. That would mean a new owner would be losing 40 percent on the investment. Not many millionaires who have any financial intelligence (unless it's a tax write-off) would bite for that. In other words, Barroway whose business is money knows when to hold 'em and knows when to fold 'em. He has been working on finding additional ownership partners since March of this year. Ever since the ASU partnership for a new east valley arena fell apart, the discussion of the Coyotes building a new arena has been very silent... dead silent. Now with the ownership change a possibility AGAIN, the team is reeling in rumors as to what their future is here in Arizona. Why has there been no discussion of the potential new arena? The answer could be twofold; perhaps there has been discussion and the team's management doesn't want to release that info to only have it be rejected as it was with the ASU situation. Or... perhaps there has been NO discussion because Barroway was looking for a new owner to purchase the team and move it elsewhere. Gee, let's see... there's a city in Texas who will have an NHL capable arena soon and has an NBA owner who wants an NHL team to add to his list of toys. Yep... I'm talking about HOUSTON. As stated in thefourthperiod.com article by David Pagnotta, "As part of the expected sale of the Coyotes, the plan would be to keep the franchise in the Phoenix area, though it’s not believed to be contingent on a new arena deal." After all, Barroway did state that the team was NOT relocating when he purchased it, but if he sells it that's a coyote of a different color. According to reports, there is at least one potential interested buyer of the team. In order for this mystery person to even come close to making a deal which doesn't predict additional financial disaster, there has to be a plan to turn things around. That's why a plan like moving the team to Houston makes logical sense. The Toyota Center in Houston will need to be reconfigured to accommodate NHL hockey and will have a capacity of 17,000 to more than qualify them to join the NHL. The secret here is the Gila River Arena in Glendale, AZ has a capacity of 17,125 but has not attracted anything close to that on a regular basis. In fact, they haven't averaged at least 14,000 fans through the turnstiles since the 2008/09 season when they had an average of 14,875. If the success of the Vegas Golden Knights and the future Seattle expansion teams are any indication, a franchise (even from a relocated team) will do very well selling tickets and filling the arena with screaming NHL fans. The annual NHL Board of Governors will meet December 3-4 in Georgia to discuss future plans to expand to Seattle and there could be a vote on the new ownership of the Arizona Coyotes if details of a new ownership deal are formalized. That is the question most ardent NHL fans here in the desert have heard over and over again... like an endless broken record. The only other option would be if the team is sold to new ownership and that owner commits to building a new arena and they better start fast. It will take at least two years to build a new facility and that means the team must negotiate (against its already spoken chagrin) another two-year lease with the city of Glendale. Let's just say the two parties are not fans of each other and it's uncertain if the salt is out of the wound concerning their past relationship issues (like the city literally kicking them out of their lease). There's one thing for certain... the drama continues with this team and it must affect the performance (to some extent) of every player. While professional athletes are accustomed to relocating via trade or free agency, being told you're staying with your present employer but they are relocating (or rumored to be) must be very stressful. Where does the NHL brass stand on this? 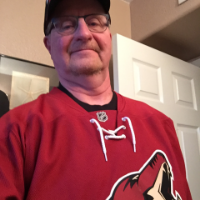 We all are aware that the NHL Commissioner Gary Bettman has in the past had nothing but support for keeping an NHL team in the Phoenix, Arizona area. The recent silence since Barroway's announcement that he is selling the team is deafening. The fans are the last to know, and that's dreadful. They are the ones putting their hard earned money down for season tickets, souvenirs, and other sundry items to keep this team in the desert. Yet, another owner who can added to the list of owners making false promises, is abandoning the team AGAIN! Hang in there Coyotes' fans... we should know something soon. It would be more than a positive result for the ownership position for this team to finally be resolved one way or the other. Playing with the heartstrings of fans can be a dangerous ploy to end in nothing short of a mutiny. Why keep supporting a team who can't even get their ownership in order? It's not the player's fault that the team moved to an unpopular and remote location like Glendale only to find out 15 years later that the commute is lousy and most of its loyal fans who buy season tickets live on the other side of the valley. This issue has been run through the wringer over and over and to say it needs resolution goes without saying. As a fan of the game and especially the NHL, it would be a terrible turn of events if a city as large as Phoenix doesn't have an NHL team. Youth hockey is exploding and the remarks of years past that this is not a hockey market are flat out ludicrous. The current Coyotes' team is playing excellent hockey, but yet even after winning five straight games and starting out the season on a more positive note than last season (2-12-1), the attendance is just not there. Through seven home date this season the Coyotes have only averaged 13,896 fans. That's just not going to be profitable for a new owner to come in here and expect different results. Therefore, it is my belief that the new owner will indeed move the team to Houston. It would be an instant rivalry with the Dallas Stars and with the realignment needing to happen when Seattle is added. That means the Coyotes are either moved to the Central Division (not a good choice) or moved to play in the more aligned location of Houston. It grieves me to even think of it, but facts are facts. 1.) There has been NO news of building an east valley arena. It's off the radar and that doesn't bode well for keeping the team here. 2.) The fan support for a market as large as the Phoenix area is just not there. Houston has almost 700,000 more people than Phoenix. 3.) The NHL may have reached their limit of support to maintain a franchise in Phoenix. It was Bettman's baby, but now who knows? 4.) This is a four major sports town with the Arizona Cardinals, Phoenix Suns, and Arizona Diamondbacks all here. And, the Coyotes are playing much better than the Suns or Cardinals this season, yet attendance lags. Losing NHL hockey would be devastating, but unless something changes that is what will happen. 5.) Barroway had high hopes as did other owners and ownership groups. Have they made any headway in firing up fan support to keep the NHL here in Phoenix? The numbers don't display that. 6.) I'm sorry but having a minor league team here is not that attractive. Even though the Tucson Roadrunners are doing well in the AHL, if the Coyotes leave so will they. New ownership could keep the team as their AHL affiliate but they aren't required to do that. Phoenix is a BIG LEAGUE city, but it needs to start acting like one. 7.) If new ownership comes in here and vows to keep the team here for a couple of years until the Seattle team joins the league that is not a long-term solution. Of course, a new owner wouldn't divulge that or would most certainly create even worse attendance issues (if that's possible) than what is now being sustained. The Arizona Coyotes are an enigma in the NHL... plain and simple. None of us quite knows what their future holds. All we want to do is watch the fastest most exciting sport played by the world's best players... and anything short of that is not acceptable! 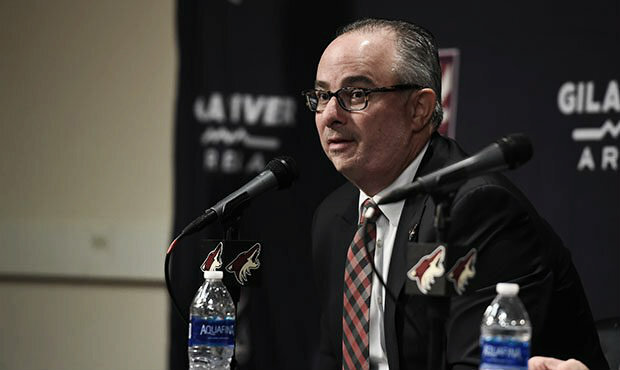 Chime in on your feelings about the future of the Arizona Coyotes remaining in Arizona and what new ownership would mean to this franchise. Are you fed up with the constant drama and what will happen to hockey in the Phoenix area if they leave? Let us know in the comment section below, and make sure to give us a follow on Twitter (@VAVELNHL_ENG) for more updates!